Wordless Picture Books – Something for Everyone! I am so pleased to share with you this article by my good friend, early childhood educator Louise Rollins of Maryland/DC Hands & Voices. Though this article specifically addresses techniques for using wordless picture books with deaf and hard of hearing children, these ideas will benefit hearing children as well. So if you thought wordless picture books couldn’t make for a satisfying storytime – think again! This article originally appeared in the Hands & Voices Communicator, Summer 2015, Volume XVIV, Issue 4 and is posted here with permission. When you search for books for your child, you can identify high-quality children’s books in part because they convey much of the story through the pictures. This is especially important for children who are learning language, as our deaf or hard of hearing children are, since they may not always understand the story through language alone. Wordless picture books are a category of books with very little or no text, where the story is conveyed entirely through the pictures. The same skills that children practice while reading books with text can apply: retelling, understanding story structure, taking multiple perspectives, and making predictions, inferences, and personal connections. Additionally, wordless picture books present unique benefits for deaf or hard of hearing children using any communication modality. Wordless picture books are excellent for helping your child understand the sequence of events in the story. During book sharing with a traditional book, a child sees part of the story in the picture and perhaps understands part of the story through the text that is read to her, then has to piece together a narrative from those two fractured elements, filling in the blanks on her own as she is able. Using a wordless picture book, your child can understand the events through the picture first, then learn from you the language that describes what she sees. This process helps develop your child’s story comprehension and build her vocabulary. 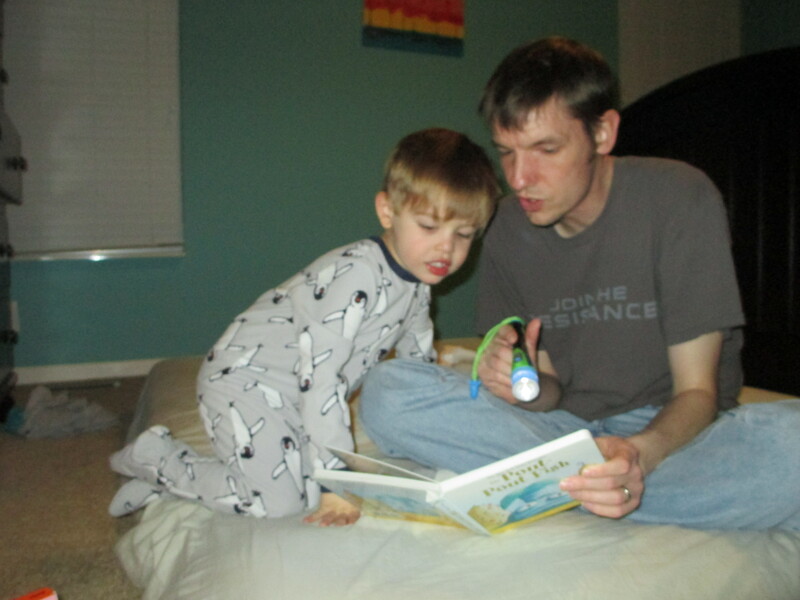 Because the pictures may be open to some interpretation, wordless picture books create an interactive reading experience where you and your child can discuss what you think is happening in the story. You can encourage your child to take on the role of narrator; even if your child cannot read print yet he can “read” these books independently or to you. Storytelling opportunities help your child practice organizing his thoughts, including sufficient information for his audience, and selecting relevant details. In other words, while practicing reading, your child is also practicing important writing skills, without even picking up a pencil. When you read wordless picture books, you can modify your storytelling to use single words or shorter phrases. You might want to do this if your child does not yet understand longer strings of connected language, or is still developing his attention span. If you are learning to sign, you do not have to feel bound by the print and feel pressure if you don’t know every sign in the text. If you are learning to cue, you do not have to worry about cueing long passages at one time. Instead, you can focus on telling the story and enjoying book sharing with your child. Wordless picture books are not limited to simple stories aimed at younger children. You can find intricate and sophisticated stories appropriate for older children as well. The flexible nature of these books fosters creativity and reduces the pressure for your child to produce the “right” answer. If you have a reluctant reader who feels anxiety when presented with print, she may be more comfortable with a wordless picture book. Successfully interacting with a book can empower your child to see herself as a reader and engender a love of reading. The genre of graphic novels has been rapidly expanding over recent years, creating more age-appropriate opportunities for older children and teens to enjoy wordless picture books. You will find graphic novels that range from little or no text to very print-heavy, but all are sure to convey the story clearly through pictures. 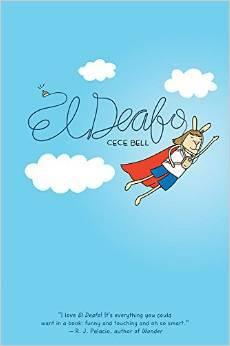 An excellent graphic novel to check out is El Deafo by Cece Bell. Although it is text-heavy, it features a deaf main character and positive themes for deaf and hard of hearing readers, and has been well received by fans and critics. I had such a hard time paring down the list of my favorite wordless picture book titles or authors! For many more titles, click here and look for “wordless” in the book descriptions. 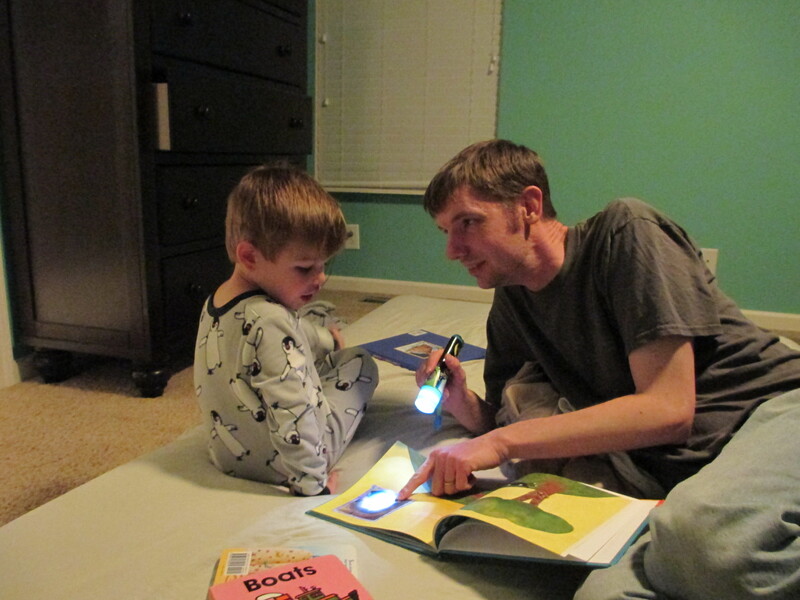 Wordless picture books can provide you and your child with less pressure and more freedom to enjoy story time together. Please remember that you can try every single one of these suggestions with traditional books as well. Ignore the text, read the story in a way that matches your or your child’s language skills, make up your own story, let your child take a turn – whatever you do, make reading fun! Louise Rollins has worked with deaf and hard of hearing children and their families in early intervention, school, and recreational settings in Maryland for thirteen years. She loves high-quality children’s literature and book-sharing with families. This entry was posted in Early Literacy, Resources for Educators and Librarians, Signing with Young Children and tagged Hands and Voices, Louise Rollins, wordless picture books by kathymacmillan. Bookmark the permalink.